Strange rumblings coming from the tuya Herðubreið are confounding observers as to their possible source. 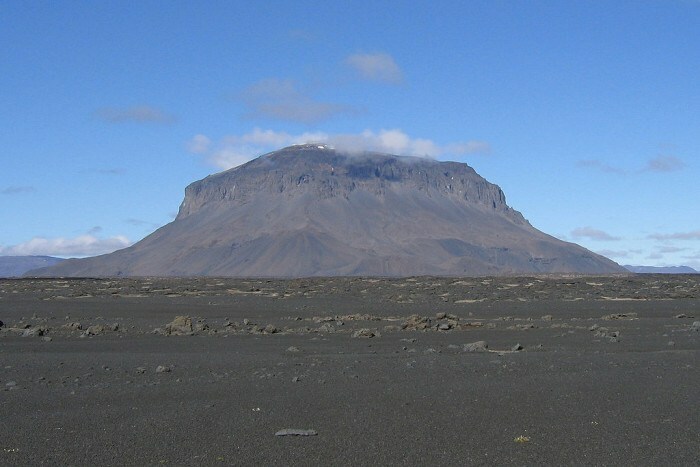 Vísir reports that visitors to the mesa-shaped volcano in northeast Iceland have been unable to determine if the persistent rumblings coming from Herðubreið are being caused by an avalanche, landslide, or something else entirely. Rangers around Herðubreið were the first to announce the rumblings, which lasted about 30 seconds. Yesterday, Icelandic rescuers who had been searching for a group of French tourists found them at the foot of Herðubreið safe and sound, although they said there had been an avalanche. News of the avalanche was reported, but upon further inspection, no evidence of an avalanche could be found – except for the rumbling.